ROME – The public transport sector of Rome has begun a 24-hour general strike, limiting the availability of metro, buses, trams and light-rail. 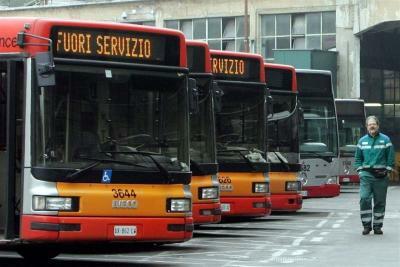 Exactly two weeks after the previous hiatus in transport services in Rome, employees of the publicly-funded ATAC have gone on strike again, from 8.30 to 17.00, and 20.00 until end of service on Oct. 26. The strike comes the day before a non-political sit-in at Rome’s city hall, a protest against the poor state of the city, and just two weeks before a referendum on the privatisation of ATAC, which takes place on Nov. 11. Currently the company is state-owned, but has accrued over 1.3 billion euros of debt, and so repeated calls have been made for the transport sector to be privatised. Taking the monopoly of services away from ATAC would significantly improve the quality of the system, those calling for a vote have argued.